TWO Fantastic Rachel Matthew custom homes with spectacular views! Gorgeous talavera tile, Main home with huge courtyard and fountain, 3 bedroom, 2 bath 2 car garage, vigas, saltillo tile flooring, commercial grade side by side Northland Fridge/Freezer, office, high ceilings lots of windows and high portal for those awesome views! Beautifully landscaped backyard with rock waterfall! Separate detached guest house (built 2004) w/private courtyard and entrance has 1 bedroom, 1 bath, kitchen, and living room with same awesome sw flair vigas, and saltillo flooring fireplace! 2 portals, carport! Possibilities for guest house are endless; airbnb, studio, multigenerational home, office space, etc. Super private and quite location! FANTASTIC VIEWS!New Rubber membrane roof guest home! 2. Fireplace, Wood-burning, Wood Stove. 2 Garage Spaces. 1 Carport Spaces. Attached Garage. 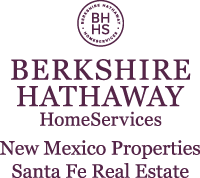 I am interested in 60 Paseo Mesa Alta Este, Corrales, NM 87048. Sign up for Inside AccessTM to view recent sales near 60 Paseo Mesa Alta Este.